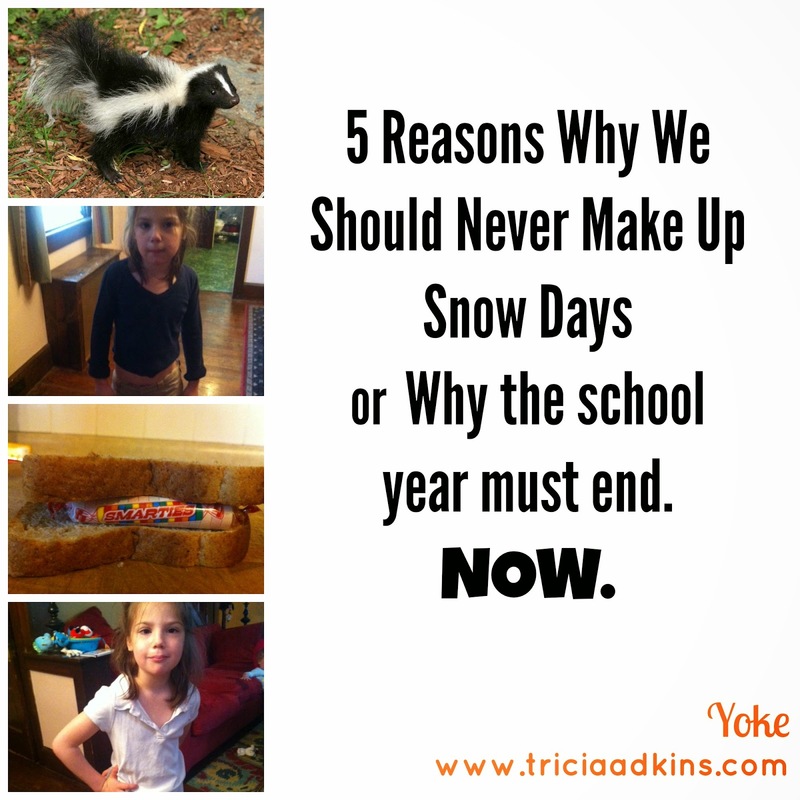 Yoke: 5 Reasons Why We Should Never Ever Make Up Snow Days or Why the School Year Must End. NOW. 5 Reasons Why We Should Never Ever Make Up Snow Days or Why the School Year Must End. NOW. The school year needs to end. I know, know, know it snowed. It snowed and we have to have 180 days of schools, blah, blah, blah, but really, YOU CANNOT GET TIME BACK. What has passed, has passed and this adding on and extending the life of the school year is inhumane. I am DONE. The kids are done. The minivan express to School 5 is DONE. Do you know I don't even really look in my 2nd grader's folder anymore? She could be suspended, failing something or need to wear a special pirate-themed outfit every Tuesday until July for "Pirate Spirit Day." I have no idea. And I frankly, don't care. 1. Today, I woke up to a skunk near the driveway. I cannot leave the home, clearly, yet the 2nd grader is FREAKING OUT she will be late and need a late pass and get in trouble. When I calmly explained that maybe Animal Control can write her a note, she continued to freak out. 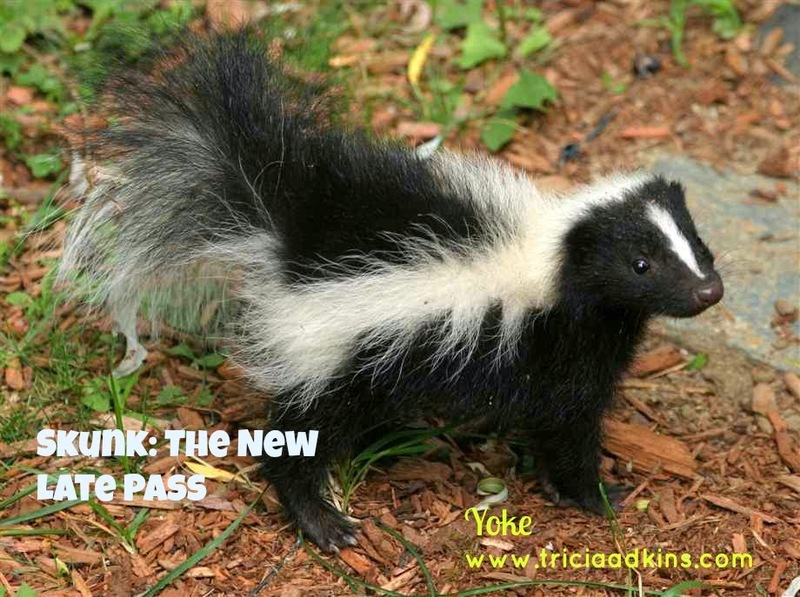 So, I guess the smell of skunk will be her late pass. 2. 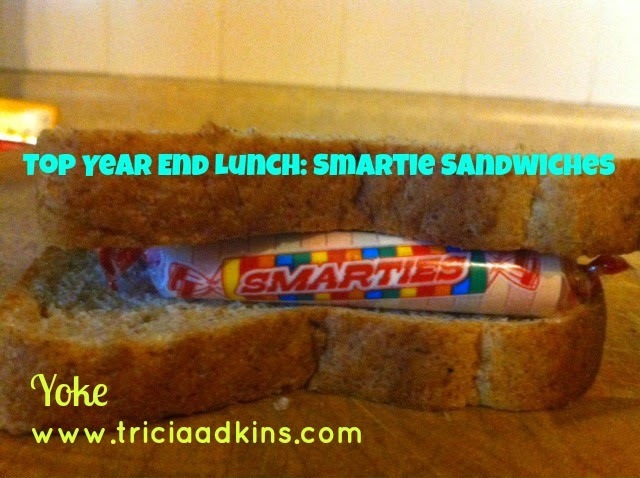 I am sick of packing school lunches and my daughter has gone on a school lunch hunger strike. 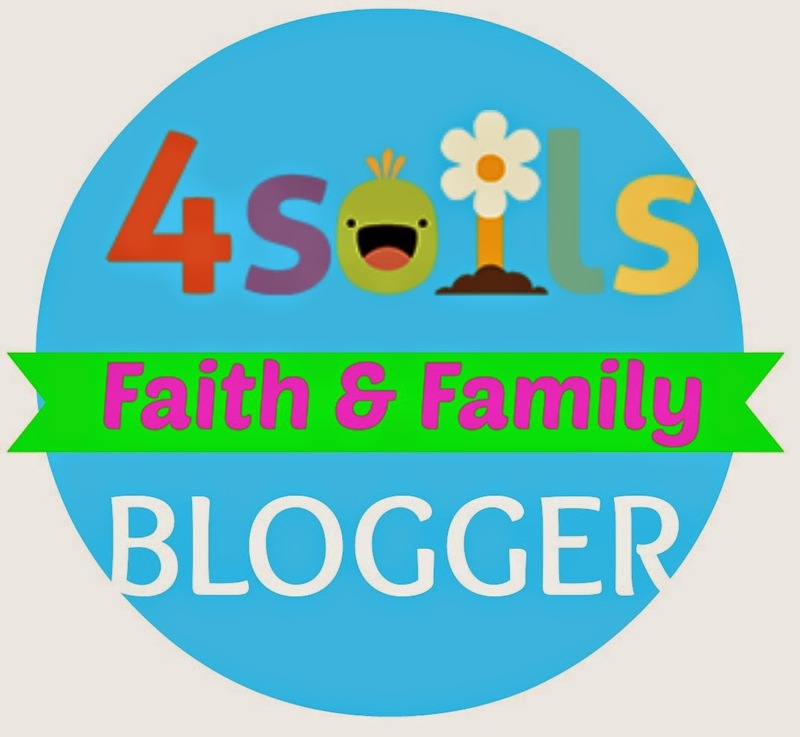 (A month ago, I would have sent in a giant bag of gummy bears instead of allowing her to buy "Mega Nachos with a Side of Steamed Green Vegetables and a nice Dose of Saturated Fat." Now, despite my best PR efforts, she refuses to indulge in cheeseburger whole wheat spaghetti nachos topped with low sugar Cheez Whiz served by the school cafeteria. I can't handle making one more soy-nut-butter and honey sandwich. The knife is simply too heavy and the honey bear squeeze bottle is clogged. 3. School pick up is dangerous. Going to the school everyday and being nearly knocked over by 500 excited, insane and caged up children as I attempt to steer two of my three towards the dismissal door for the third is exhausting, dangerous and nearly impossible to navigate in my flip flops. And then there was the death threat (long story) and the general misbehavior of everyone. SCHOOL NEEDS TO END, so the children can get on with playing in the streets, vandalizing things and whining about being bored. It is only natural. 4. The only thing uniform about the school uniforms are the stains and the rips and the sweaters that expose belly buttons and elbows. The school uniforms no longer fit, have holes, require ironing and are dotted with mystery stains. 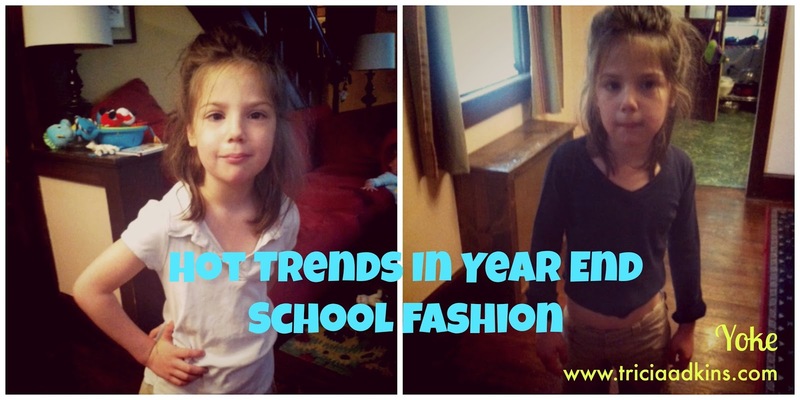 My children appear as if they have actually been at school for 180 days-straight, without changing their clothes. It is after Memorial Day and I refuse to iron or spot treat the stains. I need our wardrobes to be the kind you exclusively wash in the pool. It is bathing suit season; not polo-shirt-knee-length-skirt-season ( those skirts have not been knee length since March). ha. I am right there witcha! Oh I am sooooo tired of packing lunches! LOL I'm the same way with those school folders. My kids are studying for end of year assessments. All I want to do is sit outside and read a book in the shade. I am DONE! The funny part is they HAVE to do this 180 days...but the last 10 days of school seems like party after party after party! Tomorrow, I expect there to be squirrels and raccoons. Yup! That sums it up my kids don't even have real homework anymore. Let's just end it now not the 26th of june. Oh my gosh! 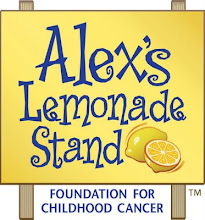 the 26th!! We are the 23rd. You are in SCHOOL FOREVER. I shall pray for you!!! I hear you - how about going to school until the 26th, teachers threatening to go on strike (now???) and partial government lockouts so the teachers leave the building during recess and lunch. There could be a riot of a child army and no one could do a thing about it. Oh, and high schoolers whose teachers aren't allowed to come to graduation ceremonies. Lots of joy on this front! Thanks for expressing how we are all feeling.